Rueger is a big, handsome, and special boy. 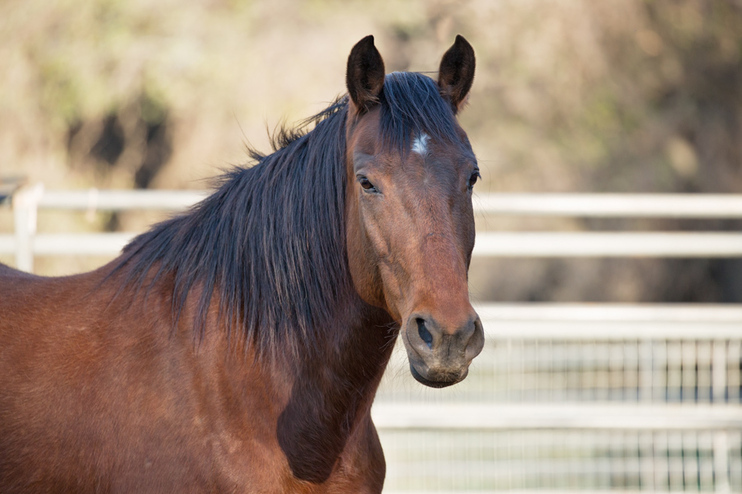 Originally adopted from BLM by a previous owner, Rue had not had much handling before coming to AAE. However, it was obvious from day one that he had a curious and easy-going personality beneath the untrusting facade. After being fostered by mustang TIP trainer Linda Stine and subsequently another AAE volunteer, Rue has blossomed. His confidence has grown, and he has become quite social, enjoying attention by his humans. He has good ground manners and leads, loads, and stands for the farrier. Although he has made great progress, Rueger is still a sensitive guy, and he will require an advanced handler with training experience, and preferably someone with experience training mustangs. Rueger is current with vaccines, deworming, and hoof and dental care.